Neither tropical nor cosmopolitan, Romania isn’t the standard destination for the standard tourist looking to blow off a little steam in a standard fashion. What it has is an intricate and colored landscape that’s produced folklore and historical significance throughout the centuries. If you find yourself in Romania for more than a day, try to make your visit an active one. This is a country where the act of traveling from site to site tells a larger story. Here are a few places to consider. This is a must see area. This castle, built in the commune of Bran, was the inspiration for Dracula’s castle in the classic, Bram Stoker novel. There are still (contested) rumors that Count Dracula’s real life counter part, Vlad The Impaler besieged this castle while conquering the territory then known as Wallachia. In case you didn’t know already, Vlad The Impaler got his nickname from impaling his enemies on sharpened posts. There are even old woodcuts showing the Count eating his dinner among a “garden” of impaled victims. Morbid? Yes. But, also the source of an important literary text and an enduring myth. Another castle known for not-so-cheery reasons. This church was built in 1502 for the purpose of commemorating the beheading of St. John the Baptist. 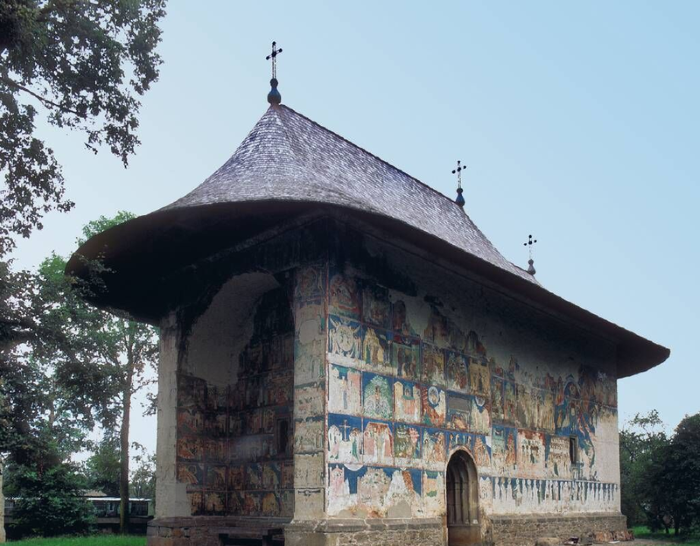 Arbore is one of eight sites that make up the larger World Heritage site, The Painted Churches of Moldavia. Located at the North end of Romania, you should try to see them all. A UNESCO World Heritage Site, the wooden churches are a collection of nearly 100 churches constructed in different styles during different time periods. Compared to some of the stone fortresses and churches elsewhere in Romania, the wooden churches are newer. Constructed between the 17 and 1900’s, they were a response to the government prohibition of stone Orthodox churches. Known for their peculiar design, often featuring a massive tower mounted to a fairly small building, the churches became important throughout Europe as the tricks and techniques used to build them were circulated to tradesmen far and wide. Romania derives its name from the Roman inhabitants who moved there. It’s perhaps funny that a country with such a namesake would have a structure called The Athenaeum, which is decidedly Greek. However, Romania contains multitudes in its culture and history. Constructed in the capital city of Bucharest in 1865, the Athenaium is dedicated solely to art and science. It is here, a world away, that you find the neoclassical architecture made so famous by Washington DC, but without the cutthroat politics. Completing our journey through time, the Sculptural Ensemble of Brancusi consists of three prominent sculptures: The Table of Silence, The Gate of Kiss and, perhaps most famously, The Endless Column. 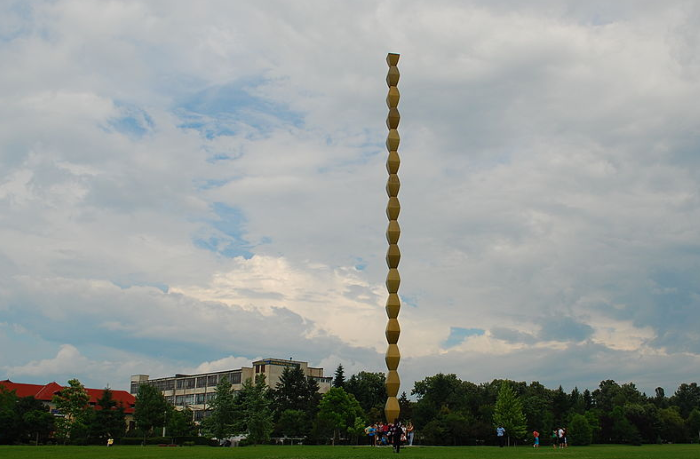 The column is a nearly 30 meter-high tower made of cast iron rhomboids, commemorating the soldiers who defended Targu Jiu in 1916, during World War 1. Many historians and artists have called this the 20th century’s greatest sculpture. Posted in All over the world, from Peter Moro and Tagged 2015, Ana, Bran Castle, Daria Virbanescu, peter, Peter Moro, piatra mare, Romania, romanian, samy, summer greetings, The Romanian Athenaeum. 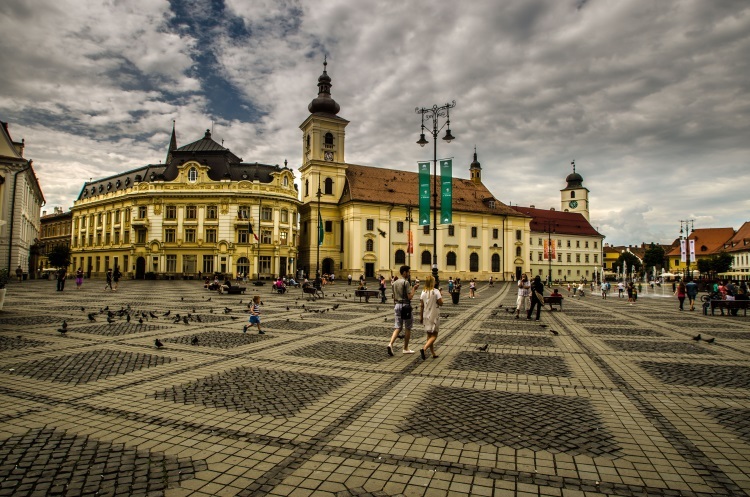 Romania is a nice travel country – like people and land!